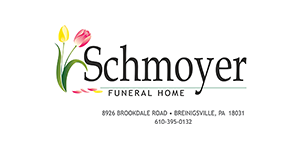 TREXLERTOWN, Pa. – The 2017 World Series of Bicycling Season went out with a bang on Friday night with the T-Town Showdown and post-race Fireworks Extravaganza, presented by the Schmoyer Funeral Home, Trexler Funeral Home, and the J.S. 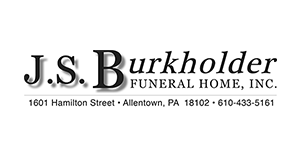 Burkholder Funeral Home, at the Valley Preferred Cycling Center. Stephen Hall of Australia came into the night the leader in the men’s Boyle Construction Rider of the Year standings with a six-point lead over Tom Rotherham of Great Britain. After the final ROY event of the night, Hall secured the Rider of the Year victory by just three points over Rotherham. Hall joined Anita Stenberg of Norway, who is the 2017 Boyle Construction Women’s Rider of the Year. Stenberg mathematically clinched the victory before Friday’s T-Town Showdown. This is the first time either rider has won the ROY competition in T-Town. Hall was the runner-up the previous two seasons. The entire night’s schedule was unknown with fans spinning the wheel for most events, however, the final event of the year, the feature event of the evening, was decided by a poll on Twitter. It turned out to be the 3 Km Motor Scratch, which earned the most votes. The night also featured racing for the graduates of the summer’s Air Products Developmental Program as the racing for them scheduled for last week was canceled. For the pro men, Roger Ainslie of San Diego won the men’s overall omnium while Colleen Gulick won it for the women and Mike Miller won it for the Legends 45+ category. Friday night’s T-Town Showdown concluded the 2017 World Series of Bicycling season. The schedule for the 2018 racing season is expected to be released early in the 2018.